Zify is one of the leading mobilty-as-a-service providers. 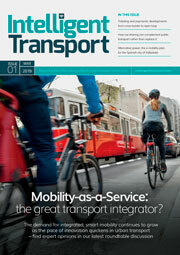 We propose a sustainable urban mobility platform based on principles of sharing. Launched in 2015, Zify has facilitated over 38 Million KMs of carpooling. Zify is an A.I. based dynamic & instant carpooling mobile application that connects passengers & car-owners with empty seats, in real-time, to share their commute and share the cost of travel via the in-built Zify Wallet. A member of the United Nations Global Compact, Solar Impulse Foundation, Berlin Startup Bootcamp and Paris Techstars program, Zify has enabled over 70 large companies to foster employee engagement, reduce cost & lower their carbon footprint.